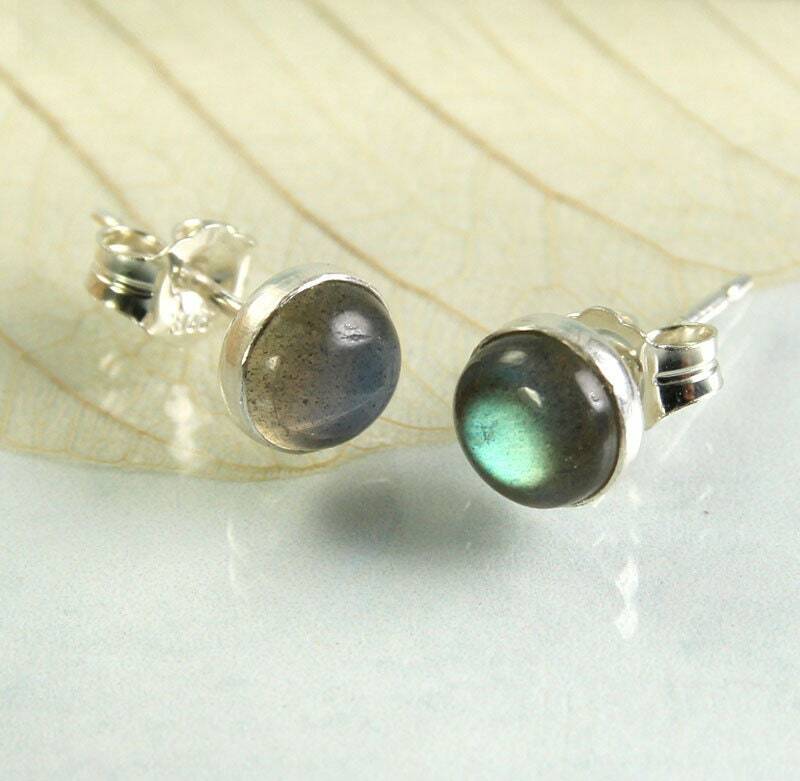 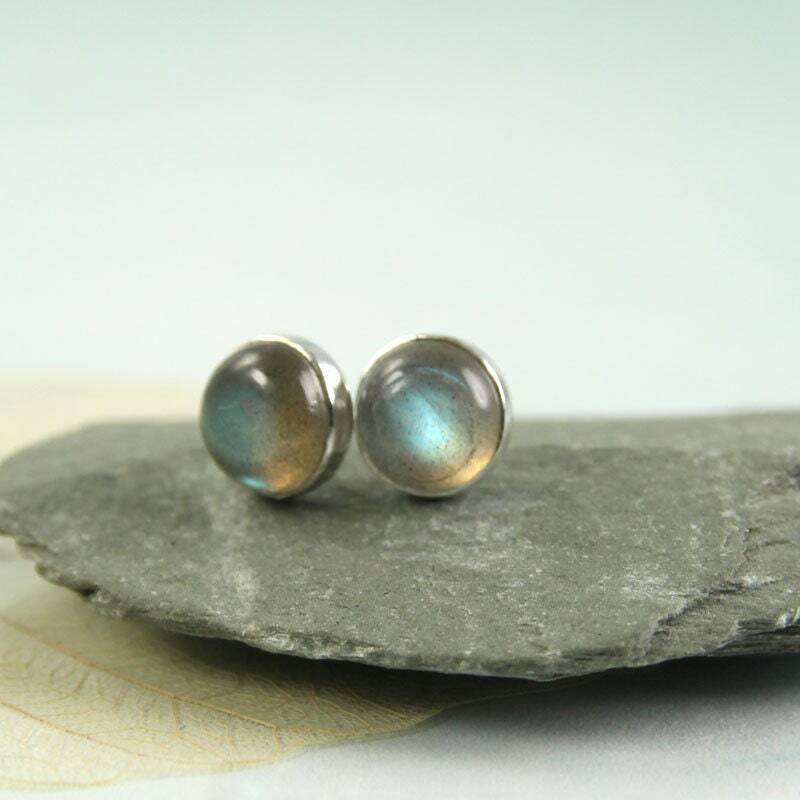 Silver post earrings with round labradorite stones - deep grey with lovely electric blue flashes. 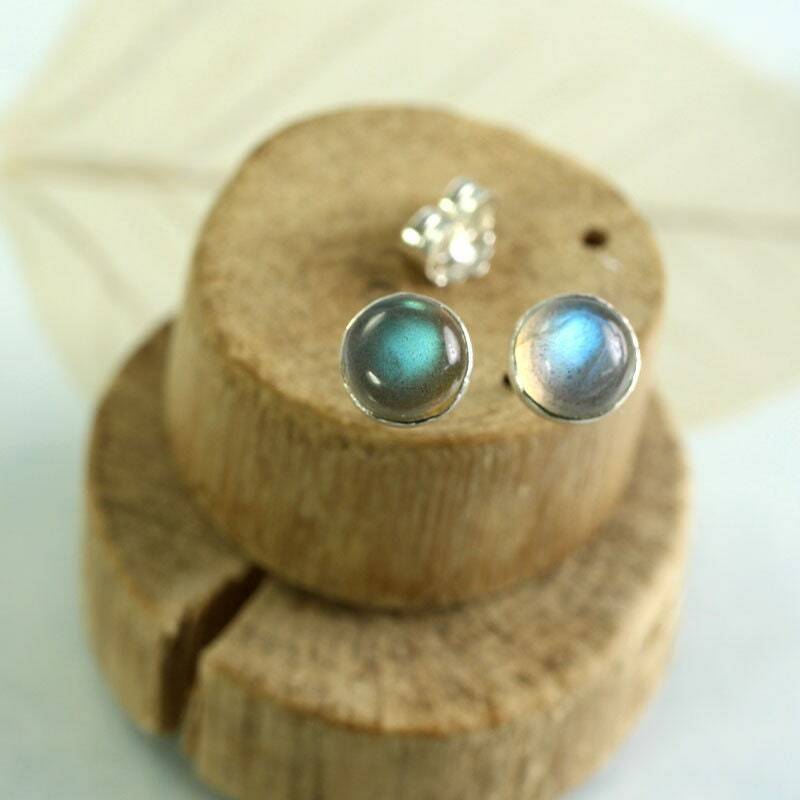 Simple and elegant earrings for any occasion. 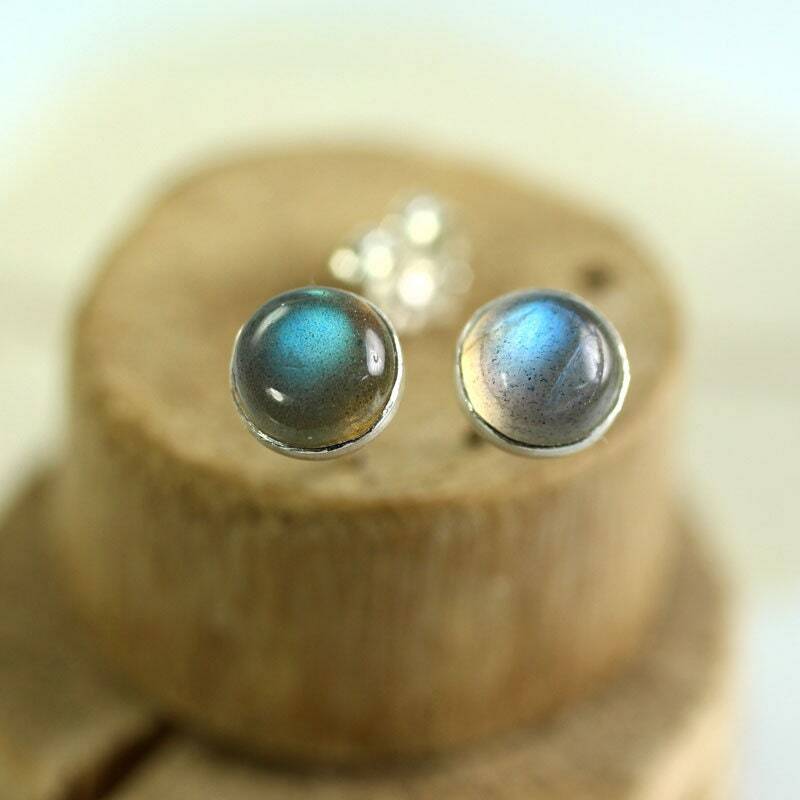 There's something mystical about the flecked grey stones that suddenly show iridescent flashes of blue and greens. 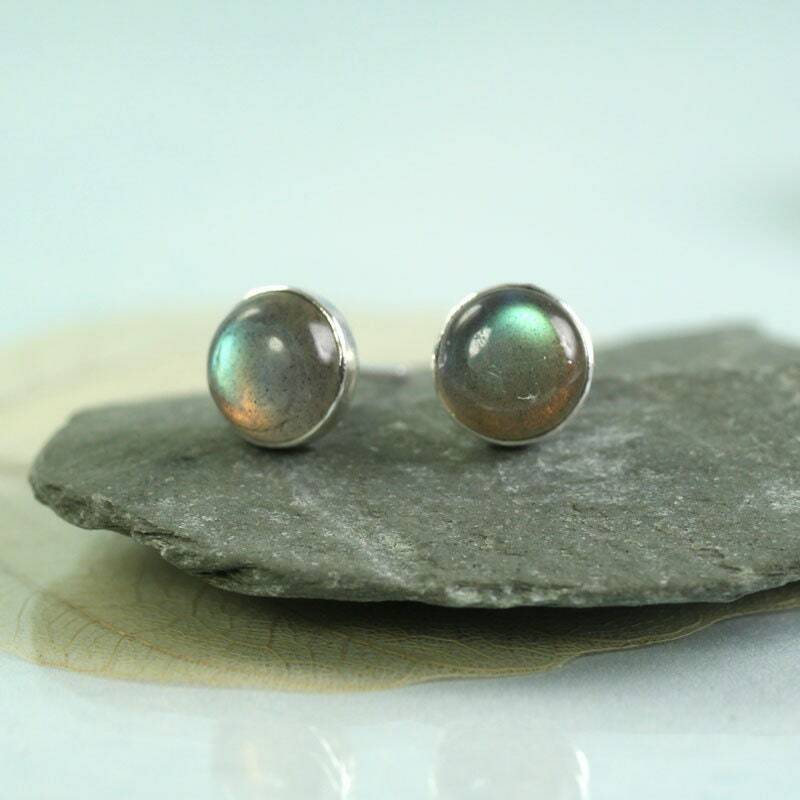 The cabochon stones are 6 mm in diameter and have a smooth glossy dome. 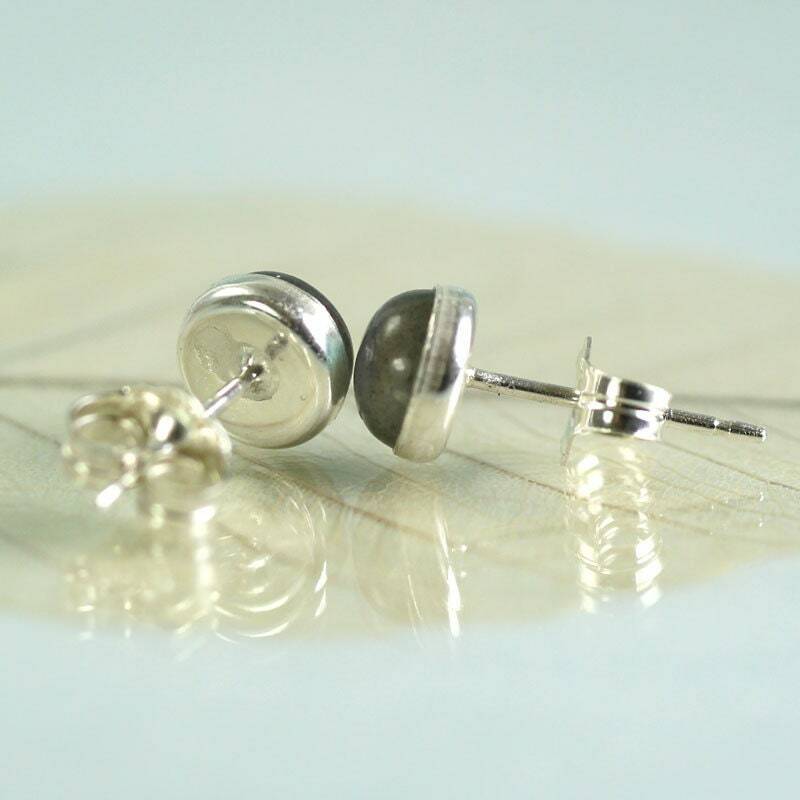 Fastened with bright sterling silver scrolls. 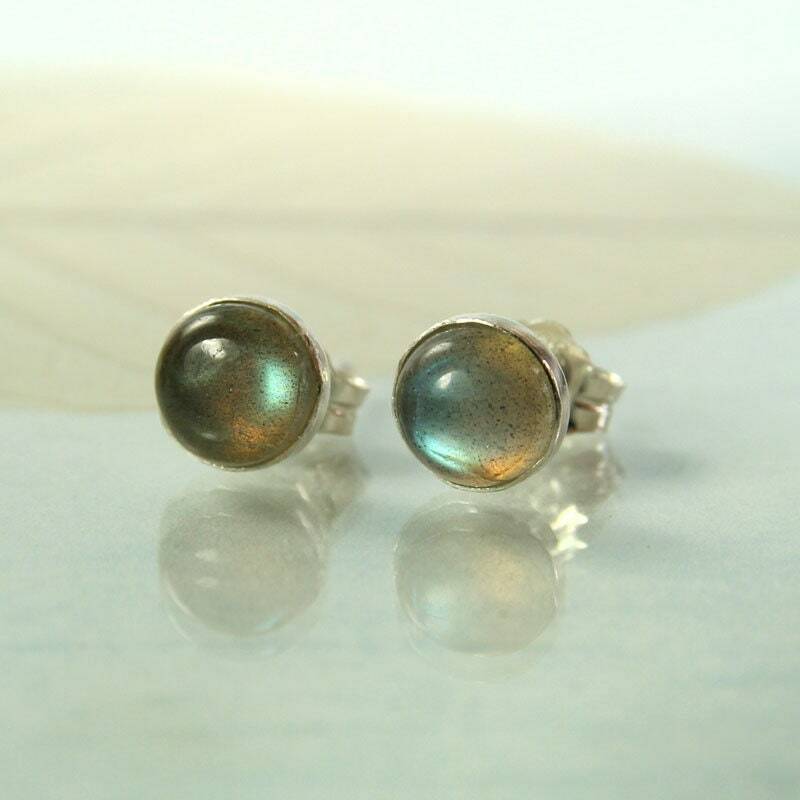 Labradorite is a member of the Feldspar family and is treasured for its remarkable play of colour, known as labradorescence. 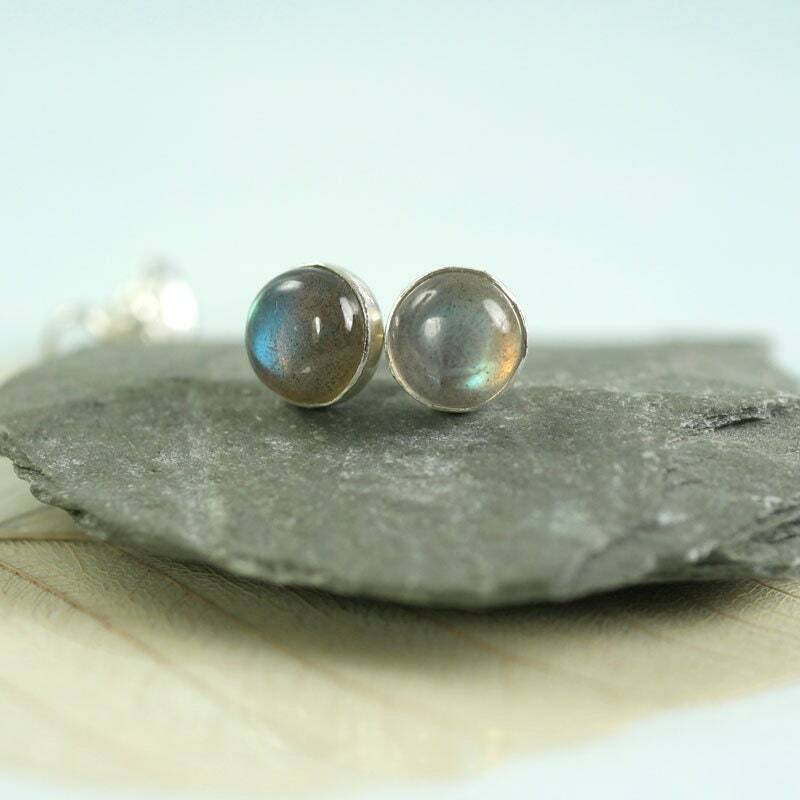 It is said to be a stone of magic, of shamans and for all who travel and seek self-discovery. 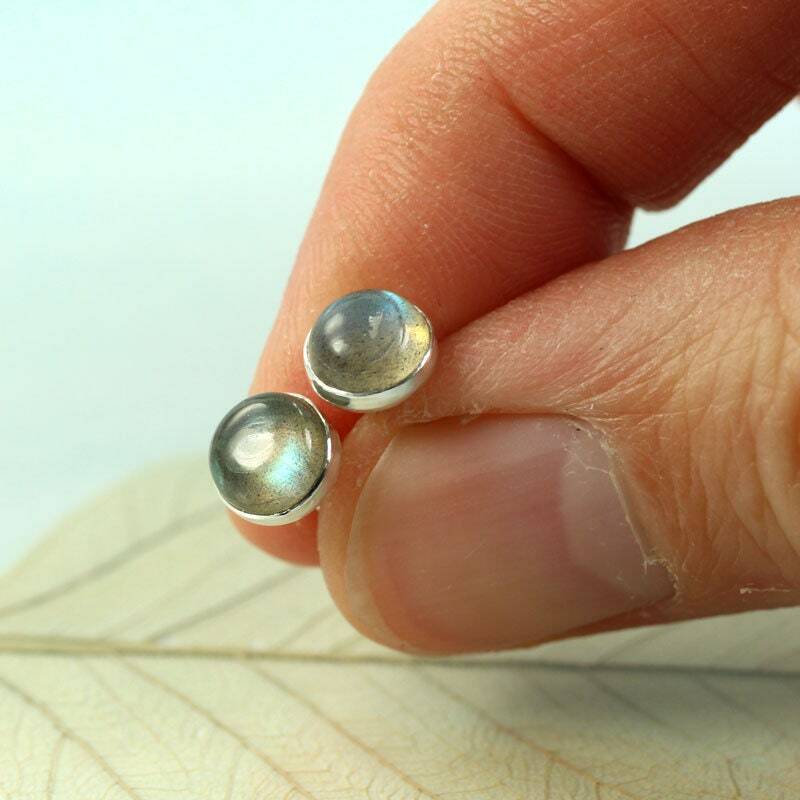 * 6 mm Indian Labradorite Round Stones - Cabochons. 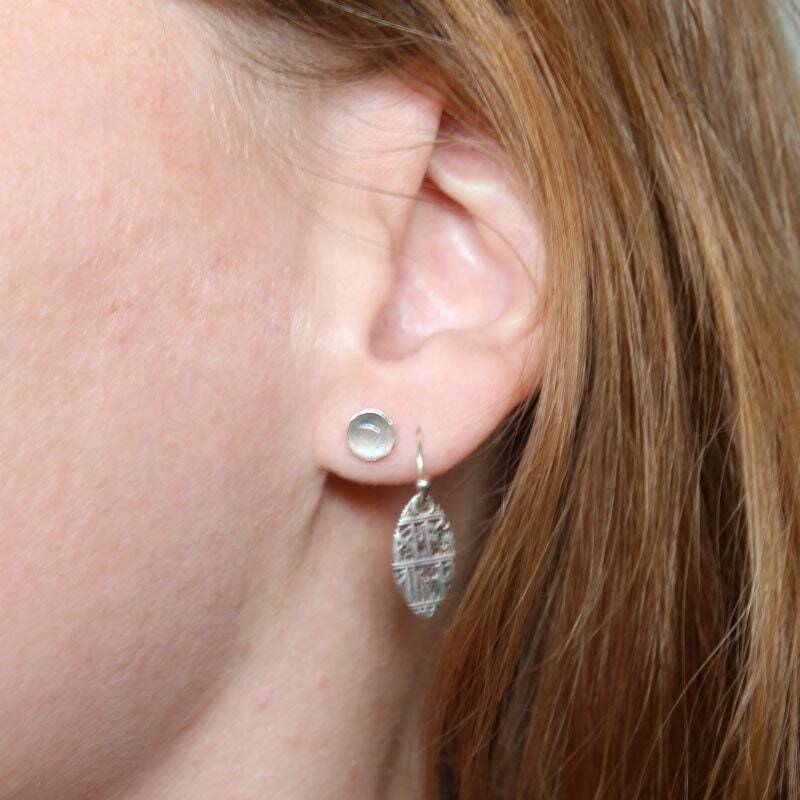 * Sterling silver setting, posts and scroll backs.